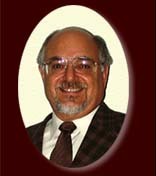 Dr. Harold I. Zeliger holds a Ph.D. in organic chemistry and has been a professor of chemistry and environmental science. He is a Certified Professional Chemist, a Board Certified Forensic Examiner and an EPA Certified Laboratory Director. Dr. Zeliger is the author of 51 technical publications, including basic research journal articles and patents. In his more than 40 years in the Chemical Process Industry, he has personally developed many industrial and consumer chemical products, designed chemical product warning labels and written Material Safety Data Sheets for toxic and flammable chemicals. Dr. Zeliger has investigated hundreds of toxic chemical exposures, environmental spills and discharges, chemical fires and explosions nationally and internationally. He has served repeatedly as an expert witness for both plaintiffs and defendants in chemical product, process, toxic exposure, environmental, flammable, intellectual property and subrogation claims. Dr. Zeliger has provided services for numerous forensic examinations, technology transfer and due diligence investigations. Dr. Zeliger’s research is in the area of chemical toxicology. His published work includes papers on the toxic effects of chemical mixtures and chemical causes of cancer clusters.